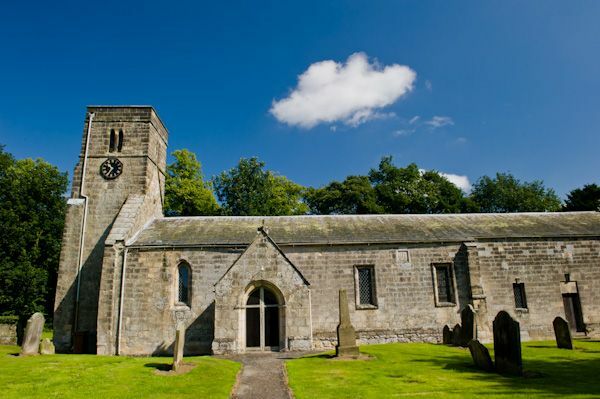 The attractive little village of North Grimston lies on the B1248 south-east of Malton. Motorists cruise through the village, unaware of a historic treat that lies slumbering away in the church of St Nicholas. 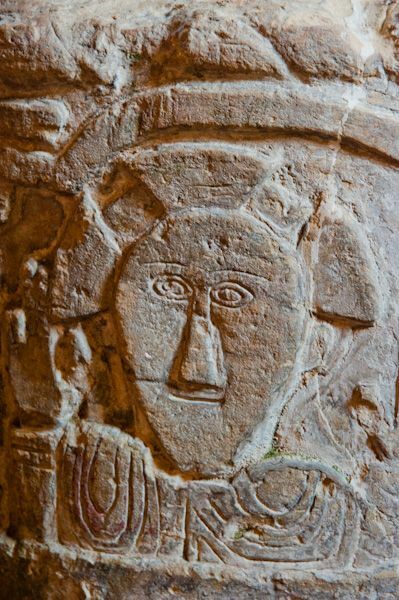 The treat is a Norman font, wonderfully carved in what we call 'rustic' style. 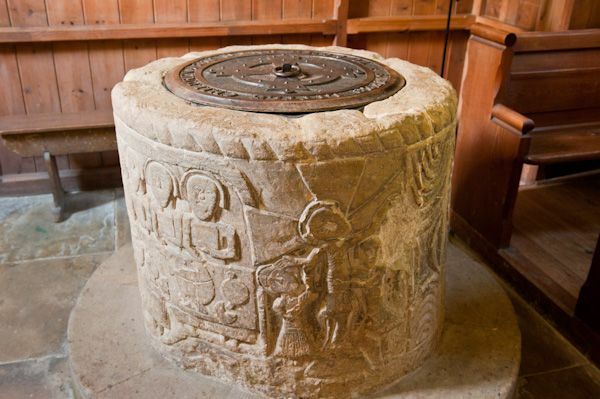 Pevsner called the North Grimston font a 'mighty and a barbaric piece'. While you can try to work out if that's a backhanded compliment, I'll just call it superb. The date of the carving is the matter of some dispute. 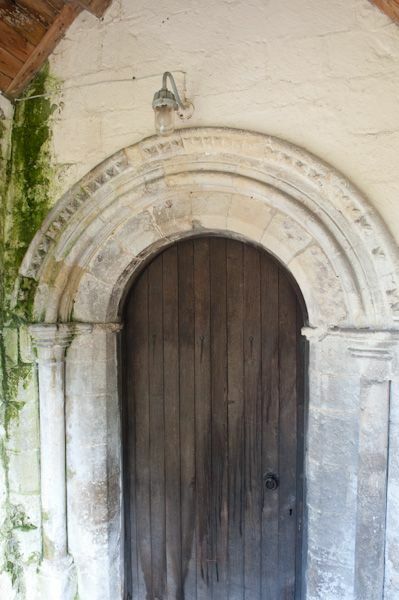 I've called it Norman, but other sources conclude that it predates the Normans, while others suggest a medieval date. That latter suggestion seems highly unlikely, given the style, which is much more suggestive of a late Saxon or, most likely, an early Norman date. 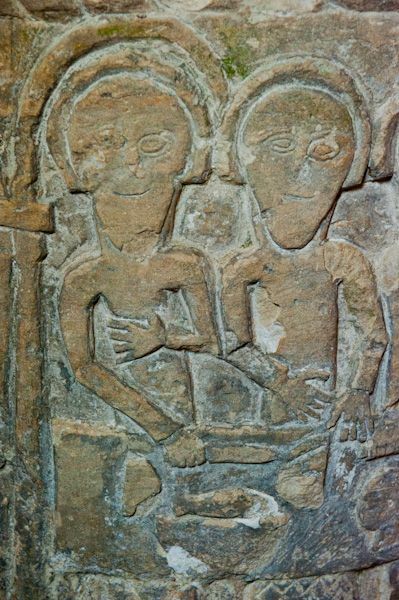 Similar carved fonts can be found nearby at Cowlam, Kirkburn, and Langtoft. Much of the font is covered with a single design, depicting the Last Supper, an unusual subject matter for a baptismal font. The disciples sit at a long table that is laden with food including fish and loaves of bread with a cross on top. 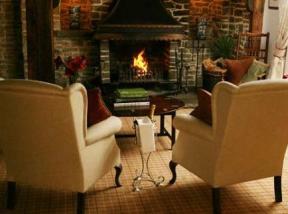 There are also flagons, platters, dishes, knives and cups. Christ is easily recognisable and sits in a separate panel, his feet upon a stool. His clothing is unusual and resembles that of a Roman military officer. One of the disciples extends his left hand, while the others have their right hands on the table. 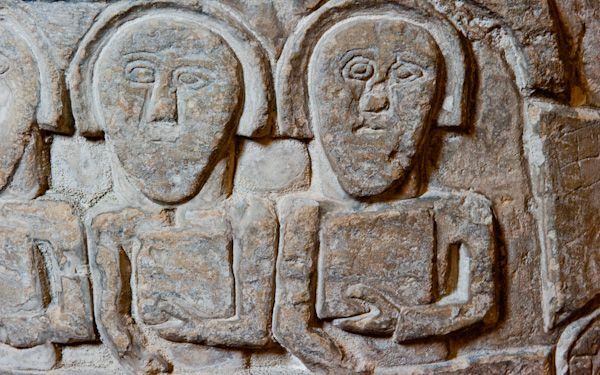 One historian has been led to suggest that the 'lefty' is likely to represent Judas. One unique figure is separated from the Last Supper depiction and bears a crozier (bishop's staff). 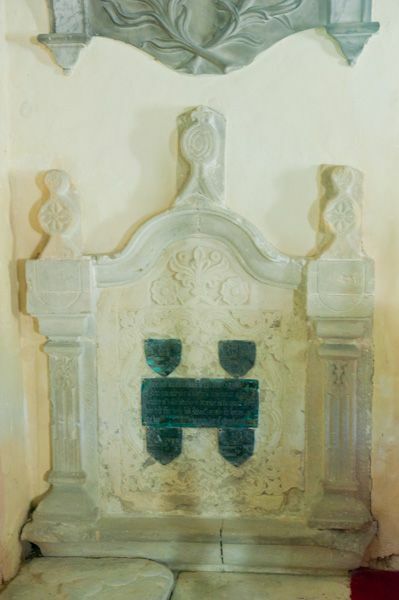 Local tradition suggests that this represents St Nicholas, to whom the church is dedicated. 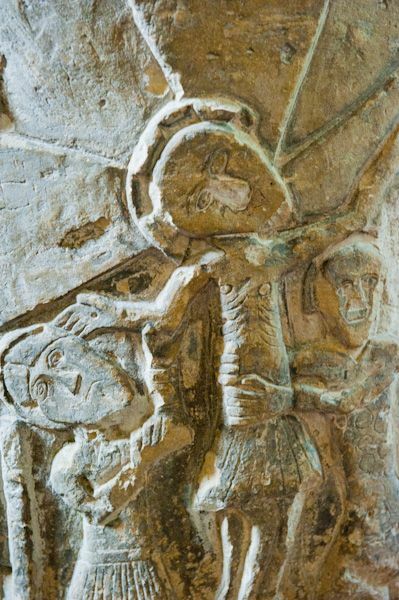 A final panel illustrates the Crucifixion, with Joseph of Arimathea and Nicodemus taking Christ down off the cross. Again, an unusual subject for a font. 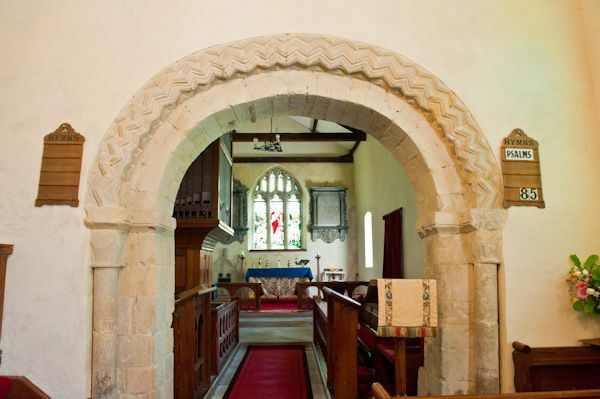 The church itself dates to the 12th century, with a Norman chancel arch. 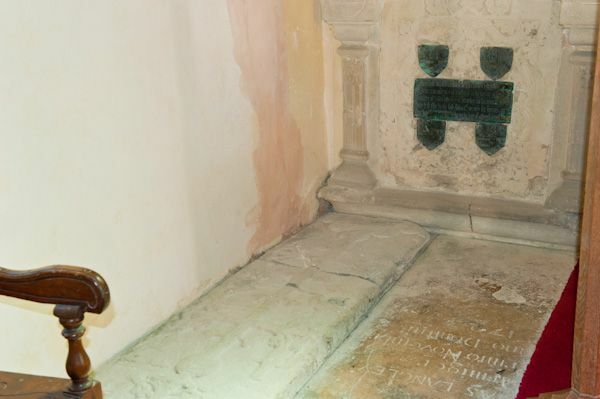 A medieval grave slab lies beside the altar, with a small medieval brass set into the wall above it.